Gilbert was also the founder of Snow Machines International. Longtime Catamount owner and General Manager Bill Gilbert passed away on January 18 at the age of 89. A Brooklyn, NY native, Gilbert earned his accounting degree from Syracuse University after serving in the Navy during World War II. Gilbert leased Fahnestock Ski Area in Harriman, NY starting in 1955 with his brother Sandy and partner Don Edwards. Soon thereafter, the trio took over Silvermine ski area. In the early 60s, the trio built Sterling Forest ski area, which later became known as Tuxedo Ridge. In the late 1960s, Gilbert co-invented the airless snowgun and founded Snow Machines, International. Gilbert sold the company, which is now known as Snow Machines, Inc. (SMI), to Jim VanderKelen in the mid 1970s. 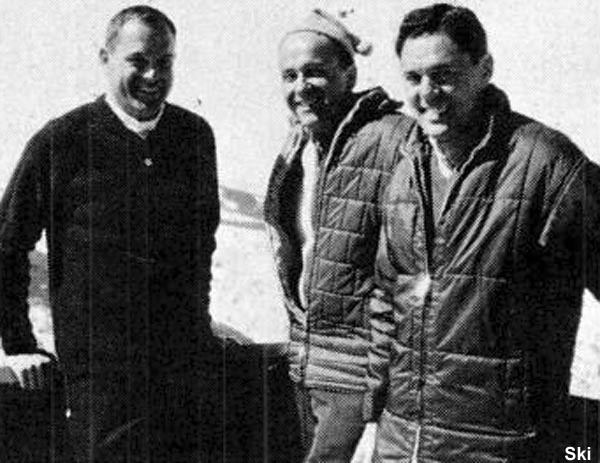 The Gilberts and Edwards acquired a financially strapped Catamount ski area in 1973, quickly working to improve the snowmaking and base facilities. Located on the Massachusetts-New York border, the mid-sized ski area has continued to grow in subsequent decades of ownership. Gilbert's son, Tom, is now the President of Catamount, while Edwards' son Rich serves as Vice President. Gilbert was predeceased by his wife of 52 years, Grace, in 2004 and by his older brother Sandy in 2010. A celebration of Bill's life is scheduled to be held at Catamount Ski Area on Saturday April 16, 2016.